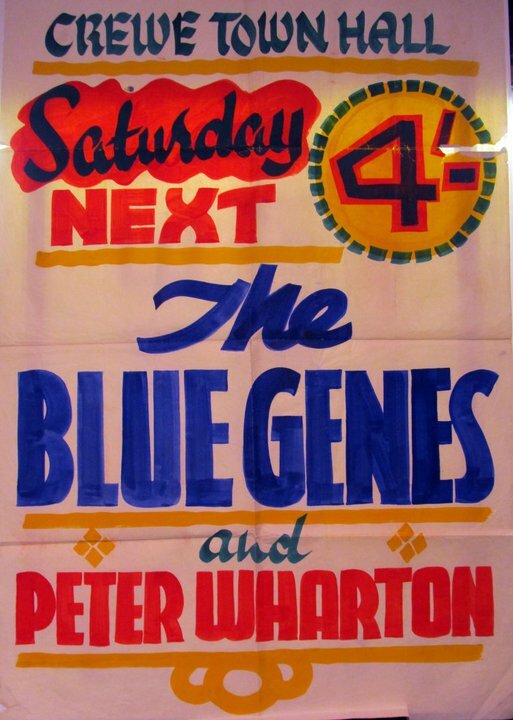 This is an original concert poster for a concert by The Blue Genes and Peter Wharton at Crewe Town Hall. 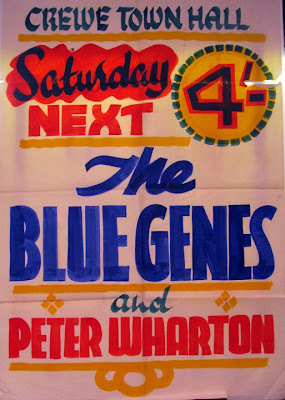 There's no date on the poster but it probably dates from around 1960/61, as after that the headline band became The Swinging Blue Jeans. Like many concert posters at the time it is hand painted, meaning that there wasn't many produced for each event. Also posters, like handbills, were often discarded after the concert happened adding to their rarity. Needless to say, original Beatles concert posters of this ilk or highly sought after by collectors and worth much more money. Important Changes to FAQ and other pages. Raise a glass or two! Important Changes to the Seller and Buyer rates. Some Auction prices from our 2010 event.